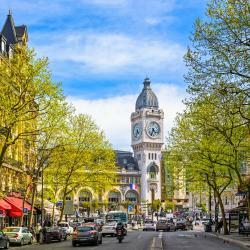 Looking for hotels near Place d'Italie Metro Station? Hotel Henriette is located just 656 feet from the Gobelins Manufactory and 1640 feet from the Latin Quarter. Located in the 13th district of Paris, Hôtel COQ (Community of Quality) offers a 24-hour reception, bar and concierge service. Hôtel Verlaine offers accommodations in Paris, just 1476 feet from Place d'Italie Metro Station, which leads directly to the Eiffel Tower. This 3-star hotel is ideally located in the Gobelins area, a lively residential neighborhood of Paris. It features cozy and comfortable rooms decorated in pastel colors facing a private garden. Bed & Breakfast The Welcoming Dragon offers a room set in the owner's apartment. It is located in the Asian district of Paris. In a 19th-century building, this hotel is near central Paris. It offers soundproofed guest rooms with a flat-screen TV with cable channels. Kyriad Hotel XIII Italie Gobelins is located in the 13th arrondissement of Paris. It offers rooms with attached bathroom with Wi-Fi access just 328 feet from Gobelins Metro Station. Location, reasonable price and its close to paris center. Museum and eiffel tower 30 mins distance. Set in a characteristic Haussmanian building within a stone’s throw of the lively Rue Mouffetard, Best Western Plus La Demeure is 1476 feet from Jardins des Plantes and the Natural History Museum. The room was huge and amazing for Paris, including the bathroom! Located in the 13th arr. 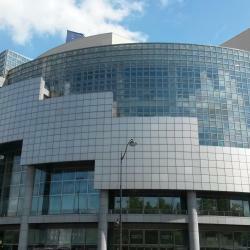 District of Paris, Urban Bivouac Hotel is 2.2 miles from Opéra Bastille. This 3-star hotel offers a 24-hour front desk. Great location with very cozy room. The hotel is so new and well-designed. 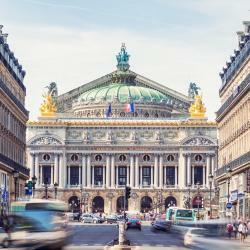 Hotels with great access to Place d'Italie Metro Station! This 3-star hotel is ideally located in the Gobelins area, a lively residential neighborhood of Paris. It features cozy and comfortable rooms decorated in pastel colors facing a private garden. Everything. The hotel is in 13 zone. But it is easy to get to the city centre by metro 7. Featuring free WiFi, Hôtel Saint Marcel offers accommodations in Paris, 1.2 mi from AccorHotels Arena. Guests can enjoy the on-site bar and get some exercise in the fitness room. Didier and the staff were courteous, efficient, and hard working. Had an excellent stay. Serotel Lutèce is in Paris, a 10-minute walk from Jardin du Luxembourg. It offers air conditioned and soundproofed rooms, some feature a private balcony. The staff were friendly and helpful. Located a 2-minute walk from the lively rue Mouffetard in Paris, Hotel de L'Esperance offers an inner courtyard. 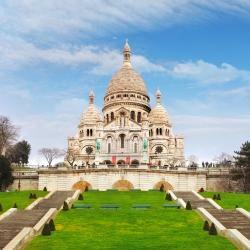 Place Monge and the Latin district are a 10-minute's walk away. Breakfast served at hotel was a plus. Nikki, our server, was delightful. Located in the Butte-aux-Cailles quarter of Paris, just 0.6 mi from Parc Montsouris, this hotel offers air-conditioned rooms and a bar with a terrace. Hotel in neighborhood amongst locals. Close to train station & local mall.